Am I Having Twins This Pregnancy? Most people find the idea of having more than one baby at a time fascinating. I'm often greeted in the mall or on the playground when I take my twins out with comments like, "Oh! I always wanted twins!" Being seen with twins is usually followed by other comments and questions like, "Are they natural? ", "Are they identical or fraternal?" and "How did you get them?" Rude questions and their appropriate responses aside, the desire to have twins is present in many people. Which can also create the belief that they have gotten pregnant with twins or wonder what they can do to increase the chances of having twins. This also leads to questions of how one knows that one is expecting twins, triplets or more. You can learn of your multiple gestations in many ways, from signs and symptoms to ultrasound or even birth. 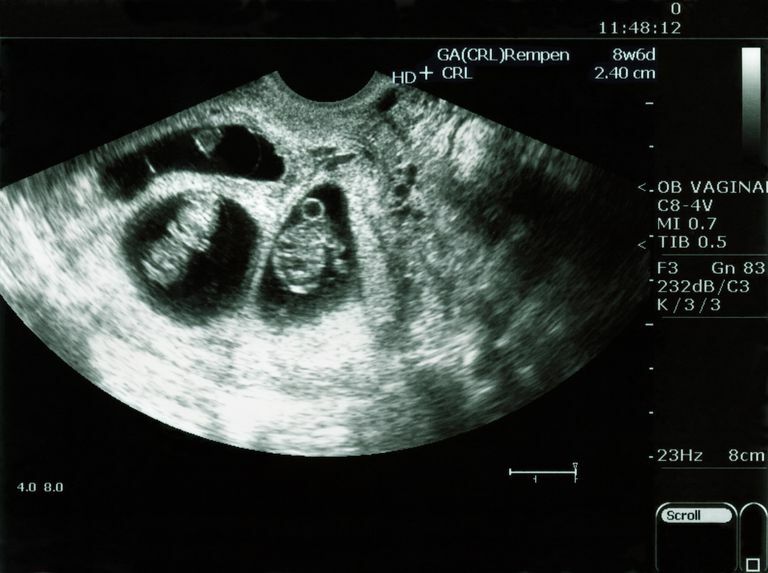 Here are some of the more common signs and symptoms of a twin pregnancy. If you are pregnant with twins you may wonder what pregnancy symptoms you will have. The majority of twin moms report that they had the average symptoms, just multiplied. Many reported increased nausea and vomiting, morning sickness. Some twin moms complained that the sleepiness was ten times worse than previous pregnancies or what they expected from pregnancy. Though just because you do not have increased pregnancy symptoms does not mean that you are not having twins. Many moms of multiples also report being completely surprised at the diagnosis of a multiple pregnancy simply because they didn't experience anything out of the ordinary. If your abdomen or pregnant belly begins to grow more quickly than it normally would it might make your doctor or midwife wonder if you have twins or more. They will check the growth of your uterus at every visit, beginning at about 12 weeks, it might seem to be bigger than expected. This could mean that you have twins or that they've gotten your dates wrong. Sometimes the increased growth isn't apparent in the earlier weeks of pregnancy. I've had some practitioners say that simply depending on the position of the babies, it might be 20 weeks before they would notice a real increase in the size from what would be expected. This is also true because both of the babies are really small at that point. Some moms report that they felt like they had an octopus in their abdomen. They claim that they felt near constant movement in all directions. This can be a sign that you are having more than one baby. This is usually one sign that is reported more midway through a pregnancy than at the beginning or end. Often times your lab work may come back with altered numbers. This is particularly true of hCG values in pregnancy testing and in the AFP testing. A higher than normal value on these tests can be because you are carrying more than one baby. Sometimes a mother might be told that her baby has a suspected problem after testing like the AFP, when in fact, it's simply elevated form having two or more babies in there. There are many ways to confirm twins or more. The most common is early ultrasound. Though one caveat, done too early and one of your babies may not be caught on screen! This testing can be done because of a suspected problem, like bleeding, questionable dates, suspected ectopic (tubal) pregnancy or other concerns. Ultrasound can be used to follow your multiple pregnancy to watch out for potential problems like vanishing twin syndrome, twin-to-twin transfusion (TTTS), growth problems, etc. Usually, you will be scheduled for one per trimester. This number will be increased if you have complications. Gone are the days, for most of us anyway, where our twins are undiagnosed until birth. Though remember there are lots of reasons to explain intense symptoms that have nothing to do with twins or other multiples. I personally experienced much less nausea than I had with my singletons. I never carried huge, because they were side by side the whole time. I also never felt much movement due to a placenta that was at the front of the uterus, blocking all those punches. So the bottom line is if you have multiple reasons to believe you're carrying multiples, talk to your midwife or doctor about determining the truth. Sometimes, a mother's intuition is the best indicator of whether or not she's having twins. Ultrasound and sometimes palpation can be used to determine if there are two or more inside. You can't rely simply on symptoms or lab values.